"I got this recipe from my mom. It is amazing! I cook it at least 3 times a month!" Season beef roast with salt and black pepper; place in slow cooker. Spoon the mild and hot chiles over the roast. Pour in the water. Cover slow cooker; set to High. Cook until roast shreds with a fork; 4 to 6 hours. 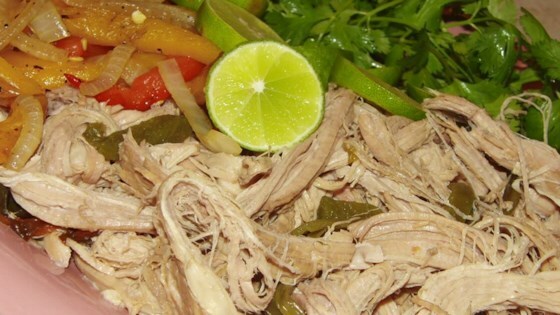 Shred meat; serve on tortillas. If desired, top beef-filled tortillas with shredded colby-jack cheese and sour cream. Even on high it took more than 4 hours to become tender, so expect that possibility. As it had not been reviewed yet, I asked the family and pretty much everyone thought it was just Ok. This recipe works well with sirloin tip and cross rib roasts as well. I added fresh poblano chili's and 1T. of cumin for added taste - delicious! Good! I put a cup & a half of green chili salsa also. Made a lot of meals out of it. Super easy and outstanding. Went with half mild and half hot chilies. Spicy and great.